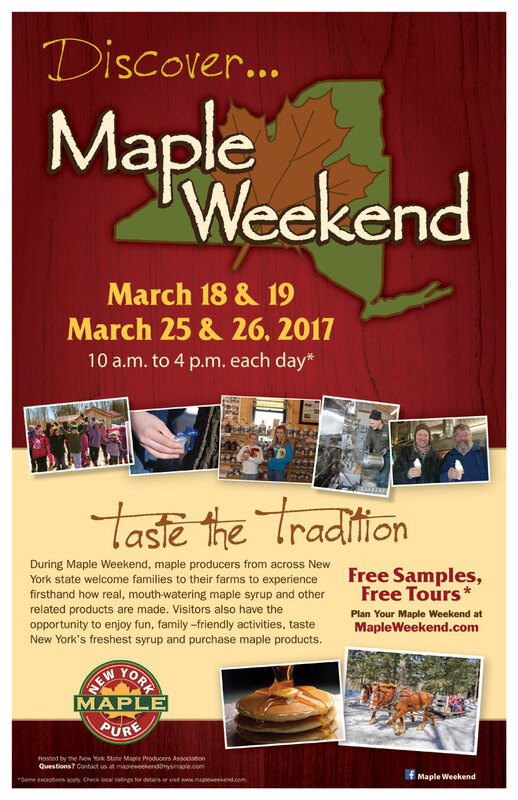 Two of the sweetest weekends of the year are coming up March 18-19 & March 25-26... NYS Maple Weekend! Find a local sugar shack, learn the process to produce syrup from sap, take a tour of the woods, eat a pancake breakfast... You'll have a newfound appreciation when you flip your next flapjacks at home! Visiting the market is a fun trip for any age. Make us a part of every other weekend for your family! Come on down, and see all the offerings our vendors have for you! Clearview Farm is bringing certified organic carrots, cabbage, sweet potatoes, rutabaga, daikon radish, sunchokes, buckwheat, truly free-range eggs, frozen stewing hens, and 100% organically and grass-grown Black Angus steaks, roasts, ground beef, and variety meats. Kitchen Blessings will be there with all your favorite cookies. We'll also have fresh granolas( made with GF rolled oats), GF cookies, cinnamon rolls, cinnamon swirl bread, and Irish soda bread. And...try something really healthy....our homemade fruit newtons made with homemade blueberry & fig filling and whole wheat flour. Bedient Farms will have a full stock of Beef, Pork and Chicken. We will also have some lamb by pre-order only! Check out the website for all of this week's pre-order specials and March Madness Meat Bundles! Market day special package will be 2 half chickens and 2 Ny Strip Steaks for $40! It's going to be cold so order ahead and we will have your package ready to grab and go! Fisher Hill Farm will have a wide variety of produce. Salad greens and Asian greens from our high tunnel. Carrots, parsnips, beets, potatoes, onions, celeriac, kohlrabi. Local apples. Free range eggs, chicken and Red Jacket juices. Be sure to get your St. Patrick's day cabbage! !